December 18th is a date of strength and stamina, endurance in simple daily matters, and all those things that involve one's initiative and an active lifestyle. Although this creates many incredible opportunities for those born on this date, it is important that they don’t rush through life and see when they need to slow down and metabolize their emotions. Instead of simply pushing through situations on the chase for a higher goal, they might miss a chance to feel genuinely happy on their chosen path, satisfied by what they’ve already achieved. 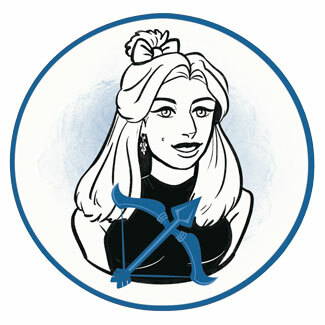 This is an energetic planetary row where the first entities speak of initiative and strength that life force of those born on December 18th carries along. However, their destination seems to be dependent on their soft, passive side, the balance created with it, and their emotional world that needs time, nurturing and care. As time goes by, they learn about their own sensitivity, embracing it step by step. Resistance followed by attempts to be "stronger than they are" will in fact only weaken their true core of energy and move them away from their authentic needs. Instead of getting "stronger" they should fall apart, flow wherever their Soul wants them to, and go through emotions that have been considered inappropriate or unacceptable for a large portion of their life. This weakness of letting go to the emotional flow will truly bring out their natural and free strength over time, as they cleanse and finally see themselves a bit more clearly. The relationship between parents is to be healed in their second planetary row, putting an emphasis on balancing feminine, caring and masculine, creative forces inside their life. They need to chase for their goals while leaving the same amount of time and focus on emotional issues, relationships and their own frailty. With respect for their need to rest, things in their life become easier and their body becomes the aircraft their heart will use to fly. There is a huge difference between the collective and one's solitary working endeavors seen in these lines, and it is obvious that real creativity comes from moves that don’t have much to do with the rest of the world. Although they might stand in front of large institutions, this leads them into conflicts and battles for righteousness that their heart isn’t always ready to bear. The amount of responsibility for the situation in the world will start to dial down as they take matters in their own two hands, and build up enough space for their personal creative existence. The purpose in lives of those born on the 18th of December is to find their true path and the calling of their heart. They won’t reach the point of satisfaction no matter the position they climb on if they are only seeking status, for their career is meant to be the statement of their inspiration and their love for the world they live in. Their talents and visions need to find a place to belong to, and very often they will be wrongly motivated by material things to pursue goals that aren’t in tune with their authentic needs. Separating from such journeys is essential, so they can fulfill their destiny and find meaning they seek in everything they do. When a person born on December 18th falls in love, they show great initiative, flirt with ease even when a bit clumsy and too open for the person standing in front of them, and don’t make too much compromise as the romance moves along. Sexuality is an important part of each bond they create, and they won’t settle for unsatisfying involvements that get spent over time or take away too much of their energy. Their emotions tend to be closed and they won’t be easily "tied down" until they are ready for pure intimate contact with the right partner by their side. They need someone with strong personal boundaries, a partner enjoying healthy competition and giving them freedom to speak their mind with openness and no eggshell walking. Their fiery nature needs shared tasks and ideals to fight for, rather than any criticism from loved ones. Their search for the right emotion to follow could distance them from intimate relationships for a while, until they find the right goal to pursue so they can relax around others and minimize the influence of outer opinions on their personal choices in life. 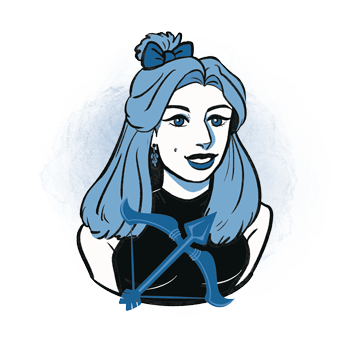 Sagittarius representatives born on the 18th of December are good at sports and active working routines that require stamina and a lot of energetic initiative They are runners and those brave enough to try something new when others wouldn’t dare. Initiative they show makes them excel in areas of expertise that are risky or painful, as surgeons, physical therapists and sometimes acupuncturists. They easily understand the language of animals and forests, often working with dogs, horses, and as guides for tracking, rafting or biking tours in Nature. Turritella agate is the perfect stone for a person born on December 18th, highly spiritual and connected to Earth and a feeling of home where one can find deep inner peace. It holds information about ancient life, wise and regenerative, teaching that history has its place in our foundation and what our roots bless us with through their rewards and potential. Stabilizing and protecting, it is a stone of survival and strength, helping one slow down to the point where reality is clearly seen with all its possibilities and limitations. Someone born on December 18th wants to spend an active day for their birthday, go swimming, hiking, mountain climbing, or take a bike ride in the open. Choose a piece of sporting equipment they won’t expect, buy a kite and organize a fieldtrip to the local meadow where winds blow, or give them a voucher for a sauna or a relaxing massage. Touch plays an important part in any choice you make, so if you are going with something simple, make it soft, warm, and made out of natural materials. Strong, independent and energetic, they are innovators with a cause to pursue and those who see the great picture even when all hopes seem lost. Knowing which buttons to push, they spark the energy in others and make them feel able. Pushy and moving too fast through life, they miss out on emotion and happiness as they rush towards status and achievements that are only the image that shows, and doesn’t resonate with their authentic Self and everything that would make them joyous. In 1878 Joseph Stalin was born, a Georgian and Soviet politician and revolutionary, who initially presided over a collective leadership among equals to become the country's dictator. During years of his education, he was known as the best but also the naughtiest pupil who wrote poetry for years. In 1946 Steven Spielberg was born, an American filmmaker and one of the founding pioneers of the New Hollywood era, known as the director of Jaws, E. T. the Extra-Terrestrial and Jurassic Park series. He mentions his first movie to be the one he made when he was 12 and in Boy Scouts, to earn the photography merit badge. In 1980 Christina Aguilera was born, an American singer, songwriter and actress, one of the best-selling music artists and the youngest and only artist under 30 to be named in the Rolling Stone's list of 100 greatest singers of all time. While growing up, she was known as "the little girl with the big voice". 1777 – Celebration of the first Thanksgiving. 1833 – The first performance of the Russian Empire's anthem, "God Save the Tsar!". 1865 – Slavery is prohibited throughout the U. S.
1892 – Tchaikovsky's The Nutcracker premieres in Saint Petersburg, Russia. 1939 – The first major air battle in war takes place. 1958 – Launching of the world's first communication satellite.